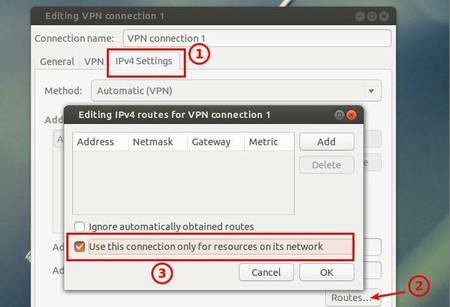 This tutorial shows you how to install Cisco VPN on Ubuntu 13.04 Raring or 13.10 Saucy. You don’t have to do anything special to install Cisco VPN client, because network manager supports Cisco IPSec VPNs after installed the vpnc plugin. 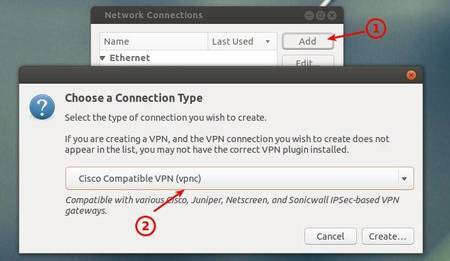 To get started, search for and install network-manager-vpnc package from Ubuntu Software Center. It installs the Cisco-compatible VPN client as well as the plugin for network manager. 2.) 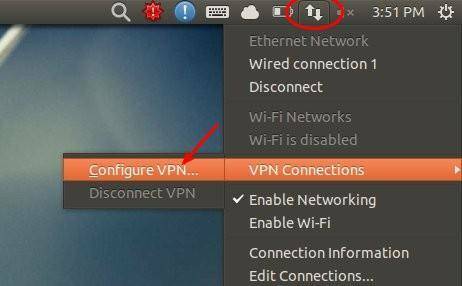 In next window, click on Add button to add a new connection and then choose Cisco Compatible VPN (vpnc) from the drop-down menu. I saw that There is Export button to export from VPNC to PCF file. Is there anyway to import PCF for VPN on Ubuntu? This will convert a pcf to a vpnc configuration. After giving everything, the “create” button” still inactive, greay color, it is not enabled, could you please help? my Xubuntu system. I am now able to log in to my Sco-Unix server from home. I wasnt able to do this with earlier releases of ubuntu…. How did you succeed on import pcf to vpnc miller? can’t seem to find an option for importation. Thank you for the writeup. When I tried this from a fresh install of saucy 13.10, the software manager could not locate the network-manager-vpnc package. I went into System Settings, Software & Updates and dropped-down the Download from: dialog. I selected my country (United States) and clicked on Select Best Server. After a few seconds the systems selected the nearest, fastest mirror server and I closed the Software & Updates dialog. The system said “The information about available software is out-of-date” and I clicked on Reload. After that I could locate the VPNC package in the software manager. I hope this helps others. I have given the URL , username nad password and couldn’tt connect.. I wonder why it doesn’t get saved. After installing vpnc and network-manager-vpnc packages, I was able to import a PCF file, which I could not do before installing the packages. I’m not sure which of the two packages added the feature. The challenge that I am now facing is that I cannot reach any of the servers in the virtual network and the VPN connection disconnects after about a minute. This way never connect to CISCO IPSec server by using Preshared-Key.